There are warriors among us. There is no other name for people like Beverly Green, Derrick Hendrix, Julio Orbegoso, and Sam Feezor, who faced great challenges and reigned victorious after defeating the Assassins Escape, Great Warrior Wall, Chaotic Crossover, Warrior Roast, and Muddy Mayhem. 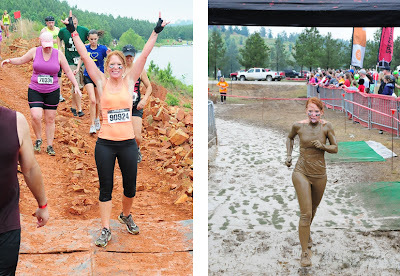 For the first time in Arkansas, the Warrior Dash brought 12 obstacles to a 3.41-mile course. 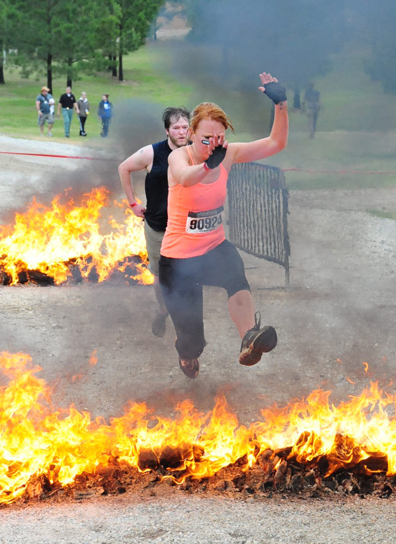 An estimated 6,000 participants came to Amity last Saturday to run in the extreme obstacle course. "Running the Warrior Dash tested my strength, stamina, mental grit, and camaraderie," Beverly said, who is Garver's finance controller. "Hurdling over barricades, crawling through mud and under barbed wire, leaping over fire, and scaling cargo nets was exhilarating!" Caked in mud by the time it was over, Beverly proudly accepted her finisher medal, not just because she'd come away triumphant, but also because the event raises support for childhood disease research and treatment. "The biggest reward was knowing my efforts along with the other 6,000 participants would directly benefit St. Jude Children's Research Hospital," Beverly said.